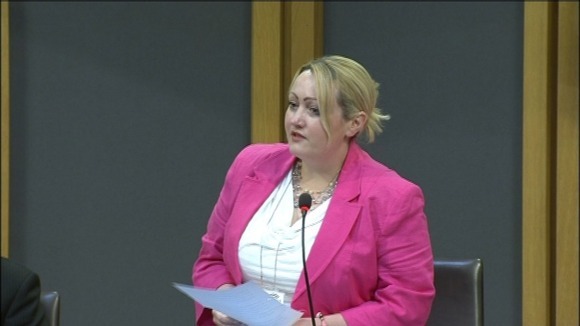 The day job: Rebecca Evans AM in the more familiar environment of the Assembly debating chamber [Image: ITV]. I wanted to share this with you because, as a constituent and a member of the Labour Party, I’m quite proud of Mid and West Wales Labour AM Rebecca Evans, who spent a week living on an amount equivalent to Jobseekers’ Allowance and discussing ‘welfare reform’ with people who deal with its effects on a day-to-day basis, to find out what it is like. With the average household in Wales expected to lose 4.1 per cent of their income due to policy changes, support is vital for those living on the poverty line. Although people are understandably cynical when politicians attempt to live life on the breadline, I wanted to raise awareness of the challenges facing welfare claimants and gain a better understanding of how well understood the changes are. Living off £72.40 for one week, I did not expect to truly experience the day-to-day life of people who rely on welfare support. I was aware that when Monday came around I would step back into my normal routine. But I wanted to experience at least some of the challenges and difficult decisions facing many thousands of people every day. The Your Benefits are Changing money advice team calculated that the average weekly expenditure for someone living off Jobseeker’s Allowance in my home area of Carmarthenshire leaves just £13.58 for food and essentials once transport costs, utilities, the TV licence, phone bills and the bedroom tax have been paid – which equates to less than £2 a day. On this income, any trip to the supermarket becomes a stressful task as every single penny matters. When speaking with job seekers, food bank volunteers, YBAC money advisors and housing association staff and tenants during the week, the message was the same: people are struggling and many have had their lives irrevocably damaged by welfare policies. The Bedroom Tax has had a serious impact on thousands of people across Wales, and the shortage of suitable housing has only enhanced poverty levels. Brought in as part of the Welfare Reform Act… the policy is estimated to have affected 36,000 tenants in the social housing sector, including 3,500 disabled households. As a direct result… housing association tenants accrued £1.1 million in arrears during the first six months. Housing associations are rightly concerned that a move to monthly payments will prove incredibly challenging for those on low incomes, leading to an increase in the number of people that turn to emergency food supplies. A YBAC money advisor told me food poverty levels can be worse for people who live on housing estates because they may only have one shop within walking distance, and that shop may have limited discounts. Food prices have risen by 12 per cent since 2007, so it is no surprise 900,000 people across the UK have turned to food banks in the past year… but the fact that we need food banks in 21st never ceases to be shocking. The families I met during my week on benefits rely on second hand clothes and goods, and rarely buy anything new – let alone any kind of treats. They try to put aside £20 a week, but unexpected emergencies leave them unable to save. A YBAC money advisor told me that around a quarter of people seeking advice are actually in work, and that the majority of children in poverty live in a household where one adult works. One mum with a young baby told me that her husband is on a zero-hour contract, meaning that the family can’t plan financially with any certainty. This smashes the myth that welfare reform is all about supporting the unemployed back to work. ‘For the privileged few’: If you’re earning the average wage of £26,500 per year, or less, then nothing George Osborne says will be relevant to you. Why are the mainstream media so keen to make you think falling inflation means your wages will rise? There is absolutely no indication that this will happen. If you are lucky, and the drop in inflation (to 1.7 per cent) affects things that make a difference to the pound in your pocket, like fuel prices, groceries and utility bills, then their prices are now outstripping your ability to pay for them at a slightly slower rate. Big deal. The reports all say that private sector wages are on the way up – but this includes the salaries of fatcat company bosses along with the lowest-paid office cleaners. FTSE-100 bosses all received more pay by January 8 than average workers earn in a year. Their average annual pay rise is 14 per cent. Bankers get 35 per cent. These are all included in the national private sector average of 1.7 per cent, which means you get a lot less than the figures suggest. Occasional Chancellor George Osborne said: “These latest inflation numbers are welcome news for families.” Why? Because they aren’t sinking into debt quite as fast as they were last month? They’re great news for the fatcats mentioned above, along with MPs, who are in line to get an inflation-busting 11 per cent rise; but as far as families are concerned, rest assured he’s lying again. “Lower inflation and rising job numbers show our long-term plan is working, and bringing greater economic security,” he had the cheek to add. Employment has risen, although we should probably discount a large proportion of the self-employed statistics as these are most likely people who’ve been encouraged to claim tax credits rather than unemployment benefits and will be hit with a huge overpayment bill once HMRC finds out (as discussed in many previous articles). The problem is, Britain’s economic performance has not improved in line with the number of extra jobs. If we have more people in work now than ever before in this nation’s history, then the economy should be going gangbusters – surging ahead, meaning higher pay for everybody and a much bigger tax take for the government, solving its debt reduction problem and ensuring it can pay for our public services – right? We all know that isn’t happening. It isn’t happening because the large employment figures are based on a mixture of lies and low wages. The economy can’t surge forward because ordinary people aren’t being paid enough – and ordinary working people are the ones who fuel national economies; from necessity they spend a far higher percentage of their earnings than the fatcats and it is the circulation of this money that generates profit, and tax revenues. Osborne compounded his lies by adding: “There is still much more we need to do to build the resilient economy I spoke of at the Budget.” He has no intention of doing any such thing. He never had. Conservative economic policy is twofold, it seems: Create widescale unemployment in order to depress wages for those who do the actual work and boost profits for bosses and shareholders; and cut the national tax take to ensure that they can tell us the UK cannot afford a welfare state, opening the door for privatised medicine and private health and income insurance firms. This is why, as has been discussed very recently, leaders of the Margaret Thatcher era including Nicholas Ridley and Keith Joseph determined that the defeat of the workers would require “the substantial destruction of Britain’s remaining industrial base” (according to ‘The Impact of Thatcherism on Health and Well-Being in Britain’). It is, therefore, impossible for George Osborne to seek to build any “resilient economy” that will improve your lot, unless you are a company boss, banker, or shareholder. The plan to starve the public sector, as has been repeated many times on this blog, has been named ‘Starving the Beast’ and involves ensuring that the tax take cannot sustain public services by keeping working wages so low that hardly any tax comes in (the Tory Democrat determination to raise the threshold at which takes is paid plays right into this scheme) and cutting taxes for the extremely well-paid (and we have seen this take place, from 50 per cent to 45. Corporation tax has also been cut by 25 per cent). … and why the government and the mainstream media are lying to you yet again. Vox Political does not have any wage at all! It seems both the Conservative-led Coalition and the Labour Party have claimed credit for a price freeze announced by energy supplier SSE. I know what you’re thinking. You’re asking: Why is this bizarre when politicians claim credit for good news all the time? Simply because SSE chief executive Alistair Phillips-Davies went on the record to say the decision had been swung by Ed Miliband – as you can hear on the video (above)! The company is the second largest supplier of electricity and natural gas in the UK, incorporating SWALEC, Southern Electric, Scottish Hydro Electric and Atlantic Electric and Gas. Its prices will be frozen at their current levels until 2016, which is good news for 9.5 million customers – and a good reason for them to consider giving Labour their vote. The downside is that 500 jobs will be cut to minimise loss of profits. Four planned offshore wind farms will also be shelved, but many may be glad to see the back of the controversial wind energy projects. Most interesting of all is the way the BBC has avoided reporting any suggestion that this could be a major coup for the Labour Party. … and we need people to stand up for us. Iain Duncan Smith wants to talk about child poverty – but how can we take him seriously when he starts the discussion with a lie? “Recent analysis reveals that children are three times as likely to be in poverty in a workless family and there are now fewer children living in workless households than at any time since records began, having fallen by 274,000 since 2010,” according to the Department for Work and Pensions’ press release on the new consultation. According to the Joseph Rowntree Foundation (JRF), child poverty will rise from 2.5 million to 3.2 million during the 2010-2015 Parliament – around 24 per cent of all the children in the UK. By 2020, if the rise is not stopped, it will increase to four million – around 30 per centof all children in the UK. Under the Coalition government, the number of people in working families who are living in poverty – at 6.7 million – has exceeded the number in workless and retired families who are in poverty – 6.3 million – for the first time. The Joseph Rowntree Foundation has measured poverty, using several indicators, for more than 15 years; its figures are far more likely to be accurate than those of the government, which is still defining poverty as an income of less than 60 per cent of median (average) earnings. Average earnings are falling, so fewer people are defined as being in poverty – but that doesn’t make the money in their pockets go any further. “The previous government’s target to halve child poverty by 2010 was not achieved,” states the DWP press release. Then it comes out with more nonsense: “The government is committed to ending child poverty in the UK by 2020 and the draft child poverty strategy sets out the government’s commitment to tackle poverty at its source.” From the JRF figures alone, we know that government policy is worsening the situation – or has everyone forgotten that 80,000 children woke up homeless last Christmas morning? Let’s look at the government’s plans. The DWP claims “reforming the welfare system through Universal Credit… will lift up to 300,000 children out of poverty, and cover 70 per cent of childcare costs for every hour worked”. But we know that Universal Credit is effectively a benefit cut for everyone put onto it; they won’t get as much as they do on the current benefits, and the one per cent uprating limit means falling further into poverty every year. Also, we found out this week that the housing element will be subject to sanctions if people in part-time jobs cannot persuade their employers to give them more hours of work. The claim is ridiculous. The DWP claims the government will will increase investment in the Pupil Premium, provide free school meals for all infant school children from September this year, improve teacher quality, fund 15 hours of free early education places per week for all three- and four-year-old children and extend 15 hours of free education and care per week to two-year-olds from low income families. None of these measures will do anything to “tackle poverty at its source”. Tackling poverty at its source means ending the causes of poverty, not putting crude metaphorical sticking-plasters over the effects – which could be removed at any time in the future. The DWP claims the government will cut tax for 25 million people by increasing the personal tax allowance, and cut income tax for those on the minimum wage by almost two-thirds. This means people will have more money in their pocket – but will it be enough, when benefit cuts and sanctions are taken into account? Will their pay increase with the rate of inflation? There is no guarantee that it will. And this move means the government will collect less tax, limiting its ability to provide services such as poverty-reduction measures. The DWP claims the government will reduce water and fuel costs, and attack housing costs by building more homes. The first two measures may be seen as responses to aggressive policy-making by the Labour Party, and the last will only improve matters if the new dwellings are provided as social housing. Much of the extra spending commitment is made for 2015 onwards, when the Conservative-led Coalition may not even be in office. These are plans to prolong poverty, not end it. It is notable that the DWP press release repeats many of the proposals in an attempt to pretend it is doing more. Take a look at the list and count for yourself the number of times it mentions fuel/energy bills (three times) and free school meals (twice). In fact, the only measures that are likely to help reduce the causes of poverty are far down the list: Increasing access to affordable credit by expanding credit unions and cracking down on payday lending (at the very bottom – and we’ll have to see whether this really happens because payday lenders are generous donors to the Conservative party); and reviewing – mark that word, ‘reviewing’ – the national minimum wage, meaning that the government might increase the minimum wage in accordance with Low Pay Commission recommendations. The DWP press release quotes Iain Duncan Smith, who said the consultation re-states the government’s commitment to tackle poverty at its source, “be it worklessness, family breakdown, educational failure, addiction or debt”. The measures he has proposed will not improve anybody’s chance of finding a job, nor will they prevent family breakdown, or addiction. The plans for education have yet to be tested and may not work. The plan for debt involves annoying Conservative Party donors. The JRF has responded to the consultation diplomatically, but there can be no mistaking the impatience behind the words of Chris Goulden, head of poverty research. He said: “Given that it has been over a year since the initial consultation on child poverty measures, we are disappointed that the government is now going to take even longer to agree what those indicators will be. Don’t be too concerned about moving forward, Chris. Make no mistake about it – the purpose of the legislation tabled yesterday (Wednesday) by Labour’s Ian Lavery is to discover how many Liberal Democrat MPs are redeemable and how many have been irreversibly corrupted by their current alliance with the Conservatives. MPs voted almost unanimously for the Bill to be brought in, with 226 votes in favour and only one against – but readers of this blog will be familiar with the fact that this happened with Michael Meacher’s motion for a commission of inquiry into the impact of social security changes on poverty. The House approved; the government did nothing. So don’t get your hopes up too high. Mr Lavery was the only person to speak on the subject, and his words are well worth noting here. “The full and sole intention of this Bill is to sweep away the dreaded bedroom tax,” he said. “It seeks to restore justice for up to 660,000 people — some of our country’s most vulnerable citizens, two-thirds of whom are disabled. 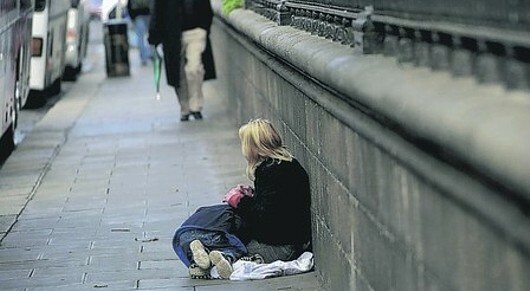 They have been inhumanely let down by the Government’s reforms to housing benefit in the social sector. The tax has caused heartache and devastation to thousands of residents up and down this country. It is a tax whose forced implementation has put extreme pressure on councils, housing associations and social landlords. It is a tax that has put extreme pressure on the ordinary working people who are forced to deal with those unable to move and those unable to pay. “On the introduction of the tax, Ministers argued that the changes would encourage people to downsize to smaller properties and, in doing so, help to cut the £23 billion annual bill for housing benefit; would free up living space for overcrowded families; and would encourage people to get jobs. Significantly, it has achieved none of those objectives. 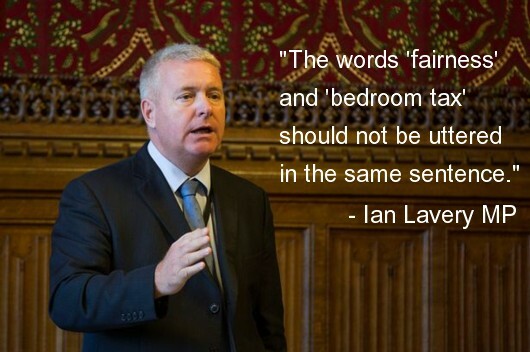 Mr Lavery said his Bill seeks “to restore fairness and to end the misery that the bedroom tax has caused”. He said there are hundreds, if not thousands, of “appalling” examples of suffering, mentioning (but not naming) mother-of-two Stephanie Bottrill, a woman suffering a crippling illness who committed suicide after realising that she could not pay the bedroom tax. Her family received correspondence later saying that she should have been exempt from the charge. He also mentioned a case he said was “hard to comprehend; it really is difficult to try to get to grips with”. He said: “The family of the 1999 child of courage, who spent years battling multiple cancers, is suffering at the hands of this horrible reform. These people are not living a life of luxury in palatial properties; they are living in a place in which they feel safe and which they call home. It is time to listen. I am sure that most fair-minded individuals would agree that a bedroom is not spare when carers sleep in it, when couples use it because one of them has health problems and they cannot share a bed, or when it houses vital medical equipment, yet this indiscriminate tax deems it so. “The reality is that yet another measure introduced by this Government is in total and utter chaos. It lies in tatters, with the victims left to pick up the pieces. As thousands suffer, there is a real risk that the bedroom tax will end up costing more than it saves. The National Housing Federation has said that the savings claimed by the Government are ‘highly questionable’, partly because those who are forced to move to the private rented sector will end up costing more in housing benefit. “Surely, as politicians and members of the general public, we are entitled to question the motives behind the introduction of the bedroom tax. The tax does not deal with the problem of under-occupation. In fact, the Government’s costings on the yield raised from the bedroom tax explicitly assume that people will not move into smaller properties. There are simply not enough smaller properties for people to move into. “Some 180,000 households were deemed to be under-occupying two-bedroom homes, yet only 85,000 one-bedroom homes became available during the whole of 2012. The savings projections of the Department for Work and Pensions assume that not one of the 660,000 households affected would respond to the policy by moving to a smaller home. Put simply, this is yet another example of the Government balancing the books on the backs of the disabled and the vulnerable. The tax must be scrapped now. “Housing associations say that tens of millions of pounds are likely to be lost through the build-up of arrears. Reports this morning estimate that 144,000 people have fallen behind with their rents since the introduction of the bedroom tax and that 14 per cent have received eviction notices [20,160]. “Was that really meant to happen? Was this eviction of the poor really the plan of the Government? Interrupted when he mentioned the loophole that exempted Stephanie Bottrill from paying the bedroom tax – another member said that the loophole had been closed – Mr Lavery continued: “As Ministers scramble to mop up the mistakes, another challenge to the hated tax has arisen. A judge has overturned the tax in the case of a Rochdale man who argued that one of his bedrooms was used as a dining room. The appeal was upheld on the basis that the dictionary definition of a bedroom is a room that contains a bed that is used for sleeping in. An avalanche of appeals is on its way. “I am proud to see that, only last week, the Scottish Labour party shamed the Scottish National party into abolishing the bedroom tax. I must put it on the record that I am also proud that one of the first acts of a future Labour Government will be to end this full frontal attack on the vulnerable. However, we cannot afford to wait until the general election of 2015. I urge the supporters of this tax to think again. That really is the question for members of the public to consider, along with MPs. If your MP votes against Mr Lavery’s Bill, then you will know that they are, indeed, happy to inflict misery and disruption on the vulnerable and disabled. Do you want to live in a country where people like that are allowed to rule? Make no mistake: This legislation is unlikely to succeed without support from people who previously helped bring the Bedroom Tax into law. As such, it might not work. But this is also legislation that should help you decide how you will vote in May next year. We can hope that our MPs – and you yourself, dear reader – choose wisely. The Bill will have its second reading on February 28. Labour’s Chris Bryant took the opportunity afforded by Mr Lavery’s motion to bring a point of order – that Iain Duncan Smith, Esther McVey and Lord Freud had been using false statistics. He said: “Earlier this year, when asked how many people had been affected by the loophole in the bedroom tax legislation, the Secretary of State for Work and Pensions… said that the number was between 3,000 and 5,000. In a written answer, the Minister of State… (Esther McVey)… said that she did not know how many had been affected. 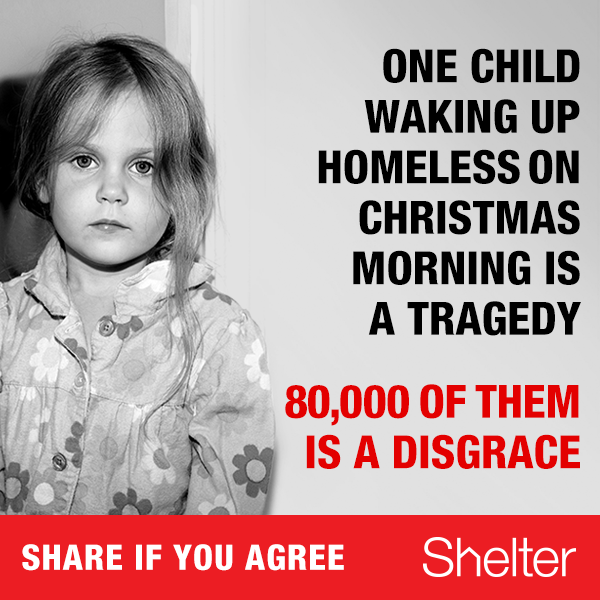 Lord Freud, a Minister in another place, said that it was an insignificant number. Today, however, he told the Work and Pensions Committee of this House that the number was 5,000. Debbie Abrahams, a member of the Work and Pensions committee to whom Lord Freud provided the false figure, said committee members will be pursuing the matter. Vox Political supports any move to end the unjust Bedroom Tax. But we need support as well. It’s farewell to your centuries-old right to free speech today, after your Conservative and Liberal Democrat MPs won their bid to get the Gagging Bill passed by the House of Lords. It won’t go back to the Commons because the Lords made no amendments. While you, personally, will be allowed to continue complaining about anything you want, you will no longer have the ability to link up with others to protest government actions in any meaningful way as such action may breach Liberal Democrat and Tory government-imposed spending limits. Your personal complaints will be deemed unrepresentative of the people. 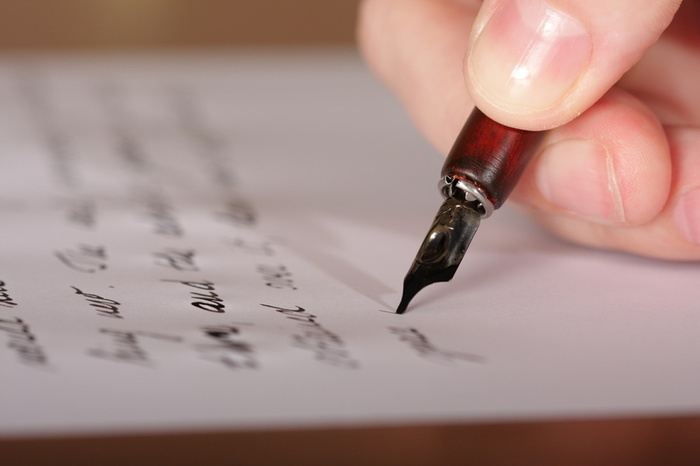 You will still be able to have your e-petition on the government’s website – if you win enough signatures to have it debated in Parliament – ignored by the Tories and Liberal Democrats in the House of Commons. The Liberal Democrats and Tories have even managed to rub salt into the wound by creating a register of all the corporate lackeys who will still be able to influence their policies – freelance lobbyists employed by large companies for the specific purpose of swaying government policy. Lobbyists who are company employees will not be listed as the government says their purposes for meeting MPs should be obvious. This means the new law will do nothing to restrict the power of corporations to write government policy or prevent lobbying scandals such as those involving former Tory MP Patrick Mercer, along with Tories Peter Cruddas and Liam Fox. The new law protects in-house corporate lobbying operations from official scrutiny, while preventing the public from enjoying the same privileges of access to the government. That is what your Conservative and Liberal Democrat MPs have fought so assiduously to obtain, over the eight months or so that this legislation, “one of the worst… any government produce[d] in a very long time”, has spent being digested by Parliament. In a Commons debate in September, Glenda Jackson MP warned that her constituents “know that the Bill… would prevent democratic voices from being heard”. They have happened already. Within 24 hours of the Lords agreeing the Bill in its current form, at least one parody account on Twitter, that was critical of Coalition policies, was closed down: @UKJCP – a satirical account parodying the DWP. @UKJCP immediately resurrected itself as @DeadParrotJCP and @Director_UKJCP. We’ll see how long they last. Let us not forget, also, that the third part of this law cracks down on trade unions, enforcing strict rules on membership records to ensure, it seems, that it is possible to ‘blacklist’ any trade unionist who finds him- or herself seeking work. With free speech flushed away, you may still resort to public protest – but the Association of Chief Police Officers (ACPO) has that covered. ACPO, which is funded by the Home Office, is lobbying the government for permission to use water cannons on the streets of the UK. This would be of no use at all in quelling violent criminal activities like the riots in 2011 – the police chiefs have already admitted that water cannons would have been ineffective in halting the “fast, agile disorder” and “dynamic looting” that took place during August 2011. ACPO is an organisation that has tried to put ‘agent provocateurs’ into legitimate protest groups and promoted ‘kettling’ to stop peaceful protests (as used in the student protests early in the current Parliament), among many other reprehensible activities. Considering its track record, it seems clear that ACPO wants to use water cannons against legitimate political protests, on the assumption that the increasing imposition of ideologically-imposed austerity on the country by the Liberal Democrats and the Conservatives will lead to more political protests, as people across the UK finally realise that the Tories and their corporate lobbyist friends are actually working against the wider population. ACPO’s report on water cannons makes it clear that “it would be fair to assume that the ongoing and potential future austerity measures are likely to lead to continued protest” and “the mere presence of water cannon can have a deterrent effect”. So there you have it. Take to the streets in peaceful protest and your police service will assault you with water cannons, with the blessing of your government. There remains one option open to you – your vote. 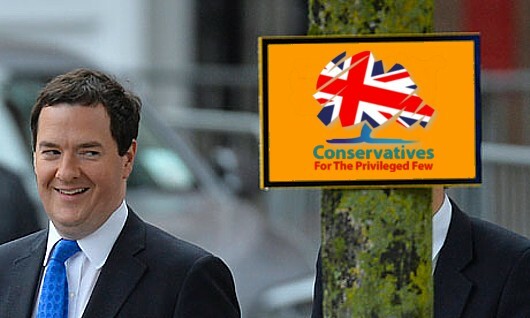 You could get rid of the Conservatives and the Liberal Democrats at the next general election in 2015. But that leads us to ask why the government has launched its attack on free speech and free protest. Perhaps it wants to control the information you receive, on which you base your voting intentions? We already know the unelected Conservative and Liberal Democrat government is using the predominantly right-wing media for this purpose. For example: George Osborne made a great deal of fuss earlier this week, alleging a huge resurgence in the British economy. With help from Tory mouthpiece the BBC, he was able to put out the headline figure that the economy grew by 1.9 per cent in 2013 – its strongest rate since 2007. Osborne also claimed that Britain is doing better than all comparable economies in the Organisation for Economic Co-operation and Development, and that the upturn is due to his imbecilic “expansionary fiscal contraction” policy, otherwise known as austerity. All of these claims are false, or intended to create a false impression. Firstly, his 1.9 per cent of growth started at a much lower level of output than would have been the case if Osborne had not imposed austerity on us all and stopped the 2010 recovery dead. GDP would now be 20 per cent higher than its current levels if not for this single act of stupidity from the stupidest Chancellor in British history. Secondly: The US economy recovered from an eight per cent fall after 2008 to a five per cent rise above its previous peak by the third quarter of 2013. Germany is the only major European country to enjoy growth of two per cent or higher, after an initial recovery based on increased public expenditure – not austerity. Even France has nearly reached its pre-crisis peak. The UK remains two per cent below its previous economic peak. Finally, Osborne did not even get to this miserable excuse for a recovery by imposing austerity. He quietly adopted a stimulus policy to avoid going back into recession. What do you think ‘Funding for Lending’ is? Or his mortgage guarantee scheme? All this is clarified by Michael Meacher MP in his own blog. If George Osborne, Home Secretary Theresa May, ACPO and the Conservative-Liberal Democrat Coalition in Parliament had their way, you would not have access to any of these facts. You would be led to believe that the governments policies are working, exactly the way the government says they are working. You would not have any reason to believe that the government is lying to you on a daily basis. Would you vote against a government that tells you such wonderful things, even when your own circumstances might not reflect that story (real wages fell by seven per cent in the private sector and five per cent in the public sector between 2007-13)? 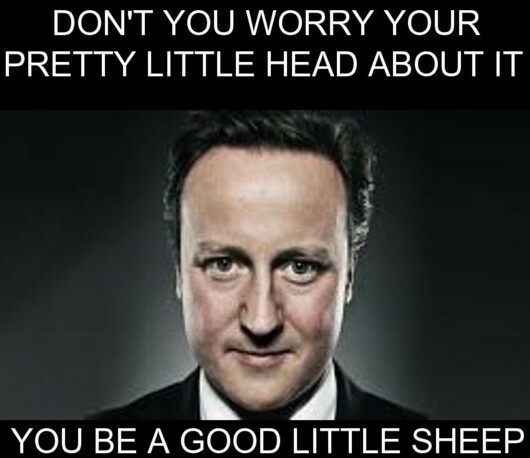 David Cameron is betting his career that you won’t. He wants you to be a good little sheep. Is that what you are? Vox Political stands up for free speech. This site could be directly threatened by the gagging law! 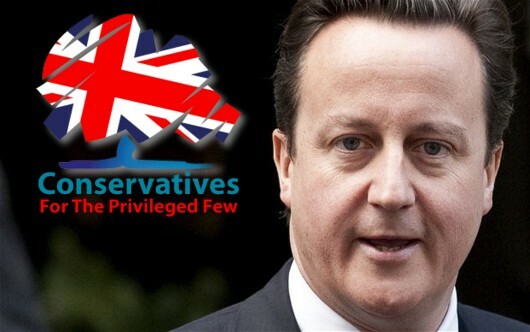 Plebgate v NHS lies – why is one the lead on the news when the other was buried? Why does the BBC want us to pay more attention to a squabble between this overprivileged cyclist and a policeman than to the wholesale privatisation of the National Health Service, for which we have all paid with our taxes? In the mid-1990s I interviewed for a reporter’s job at the then-fledgeling BBC News website. I didn’t get it. Considering the BBC’s current output and apparent lack of news sense, I am now very glad that I did not succeed. I would be ashamed to have that as a line on my CV. Unfortunately, the BBC accounts for 70 per cent of news consumption on British television – and 40 per cent of online news read by the public. It has a stranglehold on most people’s perception of the news – and it is clearly biased. Take today’s story about PC Keith Wallis, who has admitted misconduct in the ‘Plebgate’ affair by falsely claiming to have overheard the conversation between Andrew Mitchell and another police officer. He admitted the falsehood at a court hearing in the Old Bailey. The case is important because he had been lying in order to support the allegation that Mr Mitchell had shouting a torrent of profanities at the other police officer, Toby Rowland, after being stopped from cycling through Downing Street’s main gates. 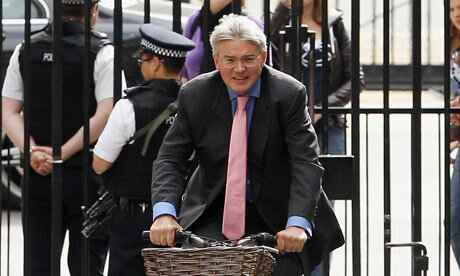 PC Rowland had alleged that one of the words used had been the derogatory word “pleb”, and the resulting scandal had forced Mitchell to resign as Tory Chief Whip. It casts doubt on the integrity of Metropolitan police officers – a further four are facing charges of gross misconduct. However, the officer at the centre of the case – PC Rowlands – is not among them. He remains adamant that his version of events is correct and is suing Mitchell for libel over comments he made about the incident which the officer claims were defamatory. This is the story the BBC decided to make the lead on all its news bulletins, all day. It contains no evidence contradicting PC Rowland’s allegations against Mitchell; the worst that can be said is that the admission of guilt casts a shadow over the entire Metropolitan police service – and in fairness, that is a serious matter. But the fact is that people will use this to discredit PC Rowland and rehabilitate the reputation of an MP who was a leading member of the Coalition government until the incident took place – and that is wrong. It is an inaccurate interpretation of the information, but the BBC is supporting it by giving the story the prominence it has received. In contrast, let’s look at the way it handled revelations about the Coalition government’s plans to change the National Health Service, back when the Health and Social Care Act was on its way through Parliament. You will be aware that Andrew Lansley worked on the then-Bill for many years prior to the 2010 election, but was forbidden from mentioning this to anybody ahead of polling day (see Never Again? The story of the Health and Social Care Act 2012). Meanwhile all election material promised no more top-down reorganisations of the NHS. Former cabinet minister Michael Portillo, speaking about it on the BBC’s This Week, said: “[The Tories] didn’t believe they could win an election if they told you what they were going to do.” Considering the immensity of the changes – NHS boss David Nicholson said they were “visible from space” – this lie should have sparked a major BBC investigation. What did we get? After Lansley released his unpopular White Paper on health, David Cameron tried to distance himself from the backlash by claiming “surprise” at how far they went. This was an early example of the comedy Prime Minister’s ability to lie (so many have issued from his lips since then that we should have a contest to choose the Nation’s favourite), as he helped write the Green Papers that preceded this document (see Never Again). If it was possible for the authors of Never Again to dig out this information, it should certainly have been possible for the BBC. What did we get? In contrast to Cameron, Lansley, and any other Tory’s claims that there would be no privatisation of the NHS, KPMG head of health Mark Britnell (look him up – he’s an interesting character in his own right) said the service would be shown “no mercy” and would become a “state insurance provider, not a state deliverer”. This important revelation that the Tories had been lying received coverage in less popular outlets like The Guardian, Daily Mirror and Daily Mail but the BBC only mentioned it in passing – four days after the story broke – to explain a comment by Nick Clegg. One of the key elements used to get members of the medical profession on-side with the Lansley Act was the claim that GPs would commission services. This was a lie. It was well-known when the plans were being drafted that general practitioners simply would not have time for such work and it was expected that they would outsource the work to private management companies – many of whom would also have a hand in service delivery. There is a clear conflict of interest in this. East London GP Jonathan Tomlinson told Channel 4 that the scale of private involvement would be so large as to include “absolutely everything that commissioning involves”. This was a clear betrayal of the promise to GPs. The BBC never mentioned it. Another phrase trotted out by the Tories was that the changes would increase “patient choice” – by which we were all intended to believe patients would have more opportunity to choose the treatment they received and who provided it. This is a lie. The new Clinical Commissioning Groups created by the Act – and run, not by doctors, but by private healthcare companies on their own behalf – have a duty to put services out to tender unless they are sure that only one provider is able to offer a service. In reality, this means all services must be opened up to the private sector as no CCG could withstand a legal challenge from a snubbed private provider. But this makes a mockery of Andrew Lansley’s promise that CCGs could choose when and with whom to commission. In turn, this means private firms will be able to ‘cherry-pick’ the easiest and cheapest services to provide, and regulations also mean they can choose to provide those services only for those patients they believe will cost the least money. Anyone with complicated, difficult, or long-term conditions will be thrown to the wolves. In other words, far from patients having increased choice, the Health and Social Care Act means private companies will be able to choose the patients they treat. We are still waiting for the BBC to report this. Add it all up and you will see that the largest news-gathering organisation in the UK – and possibly the world – sees more news value in a slanging match between an MP and a policeman than it does in the wholesale betrayal of every single citizen of the country. Why do we allow this to continue? The fight for the NHS would have been lost and forgotten long ago without blogs like Vox Political. The site needs YOUR support to continue fighting on this – and other issues. Loss of freedom: Every day the Coalition government tries to take something away from you; at the moment, it’s your right to free speech. With the Antisocial Behaviour Bill successfully blocked (for the time being), defenders of Free Speech may return to the Transparency of Lobbying Bill, and its provision to block any campaigning that our right-wing government doesn’t like. Caroline Lucas MP, writing in The Guardian today, informs us that the Tories’ and Liberal Democrats’ current rationale for the plan to gag us all is to prevent, say, large fracking firms from spending huge amounts of money in her Brighton Pavilion constituency to unseat her. This is laughable. No member of one party would lift a finger to prevent a member of another from losing their seat. However, we can use this argument to get to a more likely truth – simply by reversing it. So let’s suggest that the plan to cut, drastically, spending limits on campaigns by third-party organisations, to broaden the definition of what constitutes campaigning in order to catch more people within the legislation and to regulate organisations lobbying on issues at constituency level is in fact intended to protect Conservative and Liberal Democrat seats from attacks by ordinary people like you and me. Does this seem more likely? The evidence does tend to stack up in favour. The legislation is already well-known as the ‘Gagging’ Bill and, as Ms Lucas explains in her article, “would effectively shut down legitimate voices seeking to raise awareness on issues of public interest, whether they are on NHS reform, housing policy, or wildlife conservation”. Taking just those three examples, the general public remains infuriated at the way the Health and Social Care Act – otherwise known as the NHS Privatisation Act – was pushed through Parliament while mounting public and professional opposition to its provisions was ignored. We counted on our representatives in Parliament and in the press and they let us down. 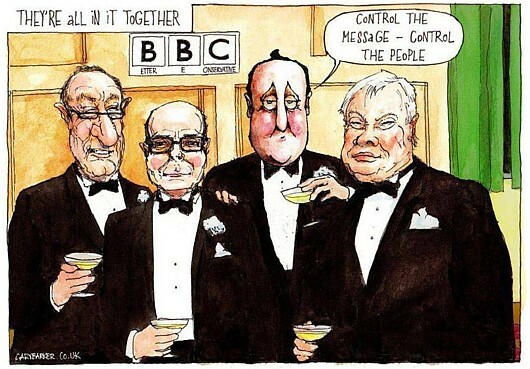 The BBC in particular should hang its corporate head in shame. The ‘Gagging’ Bill would ensure that we could not raise the issue again during an election period, giving the Coalition parties a chance to brush it under the carpet or dismiss it as old news. The Bedroom Tax will remain a burning issue until after the 2015 election, whether the government likes it or not – the recent revelation that regulations governing people who were social housing tenants before 1996 exempt them from the Tax ensures it, as the government has already committed itself to re-writing those regulations and re-assessing the tenants who are currently let off the hook. Not only that, but tenants who have already lost money – or perhaps even their homes – because they didn’t know these regulations still applied will want reparation for the way they have been treated; let’s not forget that any harm done to those tenants is an illegal act. The ‘Gagging’ Bill would sideline these people and this issue. As for wildlife conservation, you may be aware that there has been a hugely controversial cull of badgers in a couple of English counties. The pretext for this is the eradication of Tuberculosis – the badgers are said to carry the disease and pass it on to cattle, causing costly damage to herds. However, it seems not one culled badger has been tested for the disease – and at £4,100 per dead badger, is the cull not fairly costly itself? Coming back to the Guardian article, Ms Lucas hits the nail on the head: “Big business or wealthy people like Lord Ashcroft don’t influence politics through charities, small community groups or campaigning organisations. They often already gain it through family connections or social networks, or they buy it through donations to political parties. Or, in the case of the big energy companies, they helpfully supply staff to work in government departments. The provisions of the lobbying bill will do nothing to stop any of that. “Sadly, one of the underlying reasons for the government’s attempts to push through this bill is that it is afraid of the power of informed and organised public opinion. 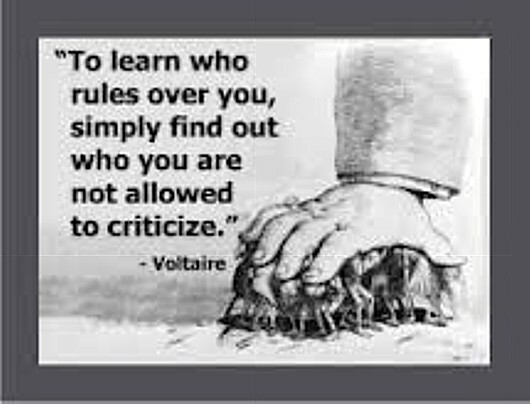 Isn’t that what tyrants (or in this case, wannabe tyrants) do? Blogs like Vox Political will continue to highlight these issues – while we can. The site needs YOUR support to fight effectively for freedom of speech.